John Bardeen was an American physicist and engineer who is the only person to have won two Nobel Prizes in physics. Bardeen was born in Wisconsin in 1908. His father, Dr. Charles R. Bardeen, was the Dean of the Medical School of the University of Wisconsin at Madison. His mother passed away when he was 12, after which his father remarried. Bardeen attended the University High School, but graduated from Madison Central High School in 1923. His graduation was postponed because he took additional courses at another high school, and partly due to his mother’s death. Bardeen enrolled at the University of Wisconsin, Madison in 1923. He took a year off from his studies to work in Chicago, and graduated in 1928 with a B.S. in electrical engineering. A year later, he finished his Master’s thesis and received an M.S. in electrical engineering in 1929. Between 1930 and 1933, Bardeen worked as a geophysicist at Gulf Research Laboratories in Pittsburgh. After this he decided to go back to academics and joined the graduate program in mathematics at Princeton University. He received his Ph.D. in mathematical physics from Princeton in 1936. He also got accepted as a junior fellow of the Society of Fellows at Harvard University in 1935, and spent the next three years working with the best physicists in the country, including Nobel laureate Professor John Hasbrouck van Vleck. Bardeen then accepted a position as an Assistant Professor of Physics at the University of Minnesota where he worked from 1938 – 1941. From 1941 – 1945 he worked at the Naval Ordnance Laboratory in Washington, D.C. In 1945, Bardeen joined Bell Telephone Laboratories where he worked with a highly talented group of physicists including his future Nobel Prize partner William Shockley. This group conducted research into semiconductors and invented the “transistor” which revolutionized the electronics industry forever by making electronic devices much more compact. However, there were problems amongst the group and Shockley often single handedly took the credit for the invention in public. 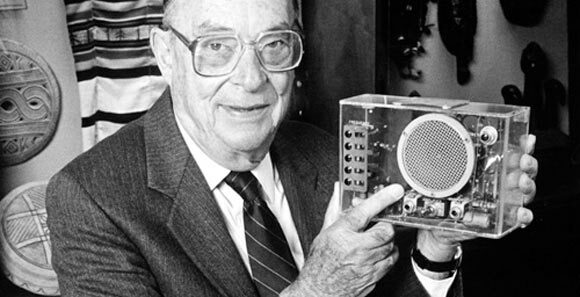 He also barred the others from sharing the project information, which led Bardeen to resign from Bell Labs in 1951. However, the 1956 Nobel Prize in physics was jointly awarded to and shared by John Bardeen, William Shockley and Walter Brattain. After resigning from Bell Labs, Bardeen joined the engineering and physics faculty at the University of Illinois. He was a Professor of Electrical Engineering and Physics at a salary of $10,000 a year. He established two major research programs, one each in the Electrical Engineering and Physics Departments. Here he resumed his research on superconductivity, for which he earned his second Nobel Prize in physics in 1971 along with L.N. Cooper and J.R. Schrieffer. The theory came to be known as the BCS theory of superconductivity, based on the initials of the three men. Bardeen is one of only three other people to have won two Nobel Prizes during their lifetime. Other than the Nobel Prizes, Bardeen also received a number of other honors such as Franklin Institute’s Stuart Ballantine Medal in 1952, National Medal of Science in 1965, Presidential Medal of Freedom in 1977 and the Third Century Award from President George H. W. Bush in 1990 for his outstanding contributions to science. Bardeen was married to Jane Maxwell with whom he had three children. He had a very modest personality and was beloved by all who knew him. He died on January 30, 1991 in Boston, Massachusetts.